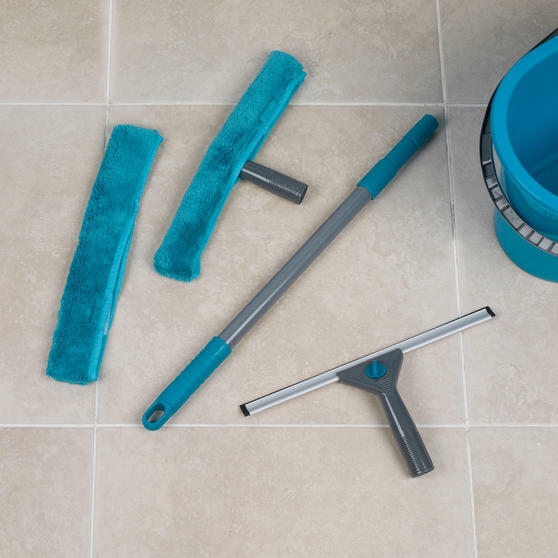 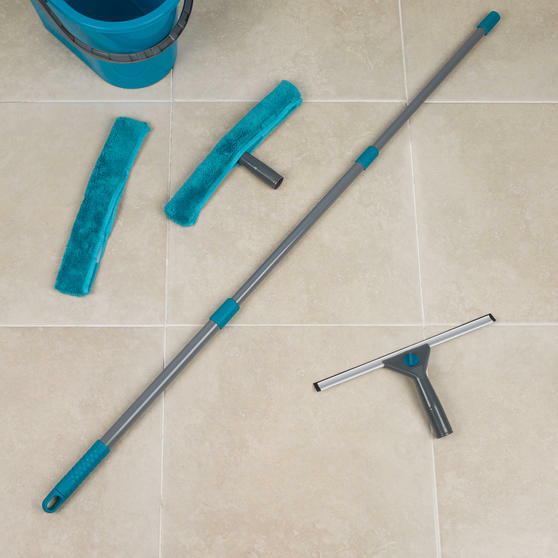 Keep your windows beautifully clean with this Beldray five piece set including a telescopic handle so you can even clean the hard to reach windows on your home. 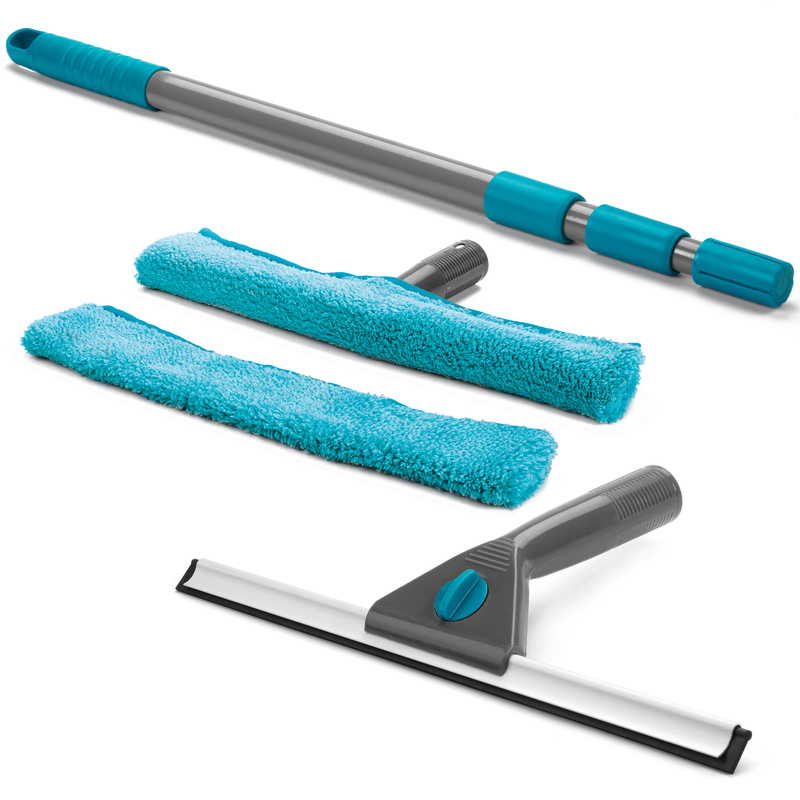 The set consists of a durable iron handle, a plastic window wiper, aluminium and rubber lip wiper and two microfibre cloths. 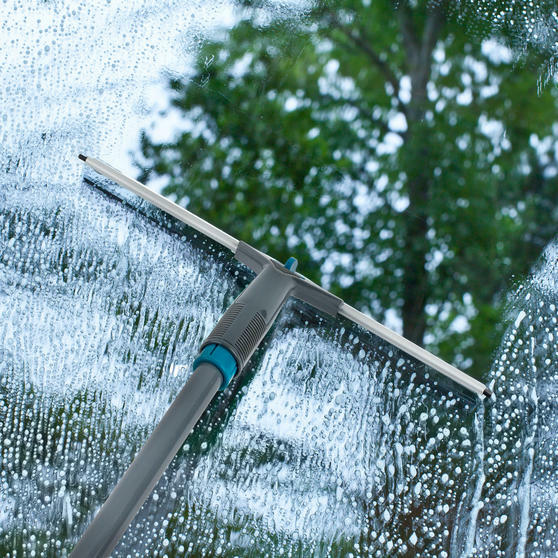 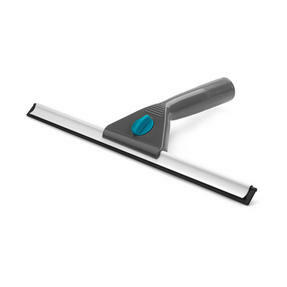 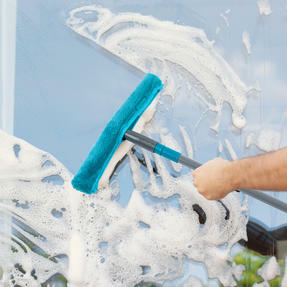 Use the microfibre cloths to remove grime from your windows, then finish off with the wiper and allow the rubber lip to wipe the toughest dirt, leaving nothing but sparkling clean glass. 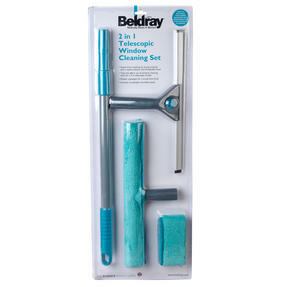 Achieve a streak free clean with ease using this Beldray window cleaning set including a handle, two wipers and two cloths. 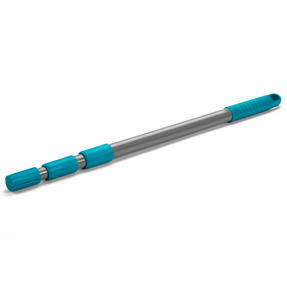 Made from iron, the telescopic handle is wonderfully strong and able to reach to the top of windows without the need for a ladder. 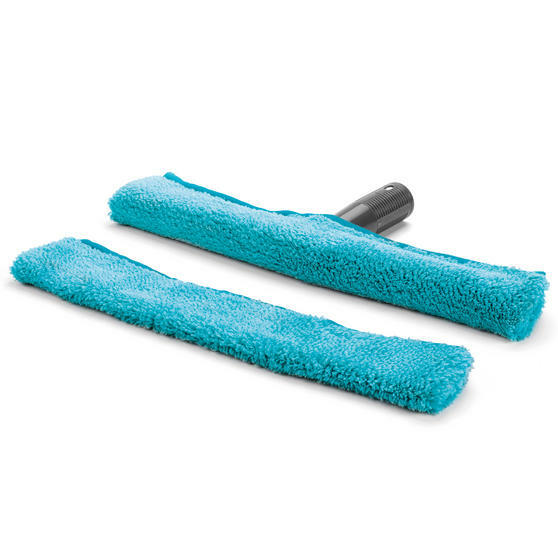 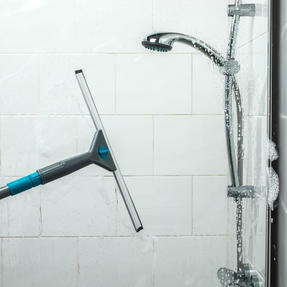 The microfibre pads pick up and lock in dirt, containing it rather than pushing it around the glass, guaranteeing an effective clean. 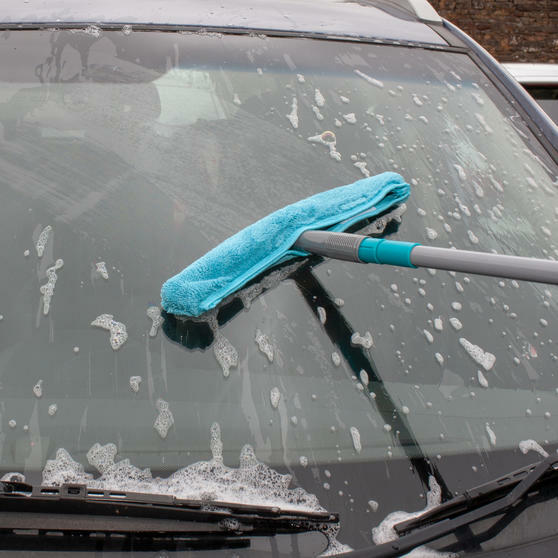 Spray the window then use the microfibre pads to free the dirt, grime and grease before eliminating it from the surface using the wipers. 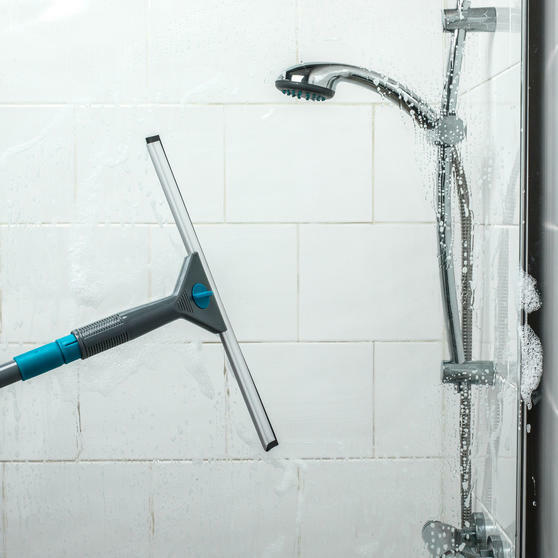 Measuring a total of 130cm, the iron handle can be disassembled into three parts, making it amazingly easy to store after use.